The world changed forever on September 11, 2001. The events of that day are burned into our memories. Ten years later people are still asking the question “Where was God on 9/11?” What has been the church’s response? How are the people of God to answer this and many other questions about the pain and suffering of that day? 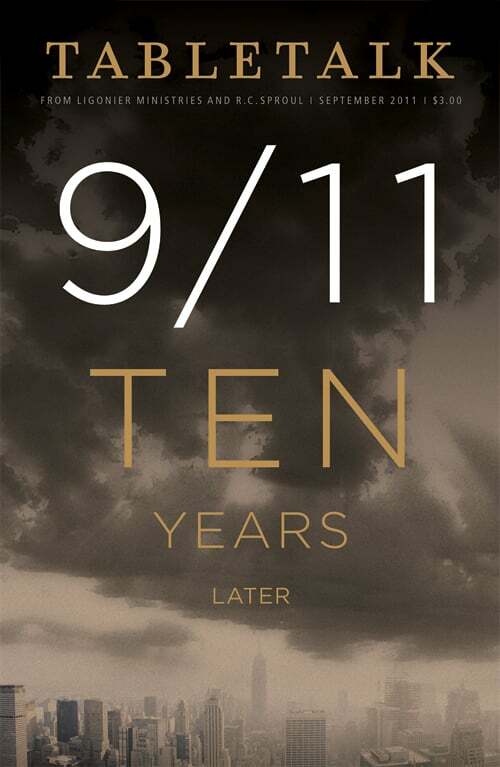 As we reflect on 9/11 on this tenth anniversary, we would like to offer a complimentary copy of the special September edition of Tabletalk magazine entitled 9/11 Ten Years Later. In addition to the daily Bible studies and feature columns, this issue contains articles such as “The Gospel for Muslims” by Thabiti Anyabwile, “A Pastor’s Reflection” by Rev. Charles Drew, “Can God Bless America?” by Dr. John MacArthur, “Ten Years Later” by Dr. R.C. Sproul, and more. The world changed that day, but the God of the Bible has not. Click the links below to download the digital version to your computer or digital reader, or call 800-435-4343 to receive your free copy of the print edition. While supplies last.